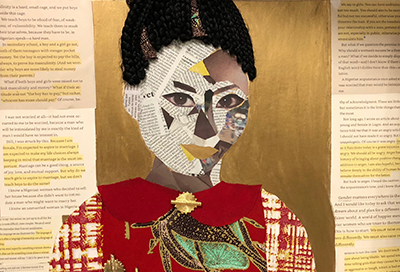 Through February 10, Mamaroneck Artist Guild’s Young Artists on the Rise exhibition will present artworks from local high school students. Participating schools include Maria Regina High School, Mamaroneck High School, French American High School of New York and New Rochelle High School. An opening reception and an awards ceremony will take place on February 7. Gallery Hours: Tues-Sat: 12-5pm. In October 2016, acclaimed artist Gregory Nemec set himself the task of creating daily pen and ink drawings. Nemec posted his latest drawing to social media and got recommendations for upcoming subjects. 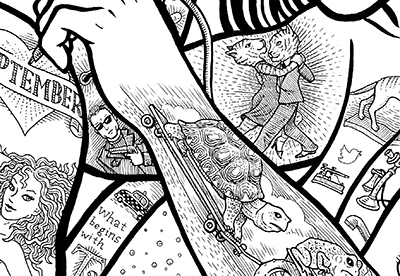 Each month’s drawings collectively fit together to produce one larger piece. The twelve resulting illustrations are featured in Arc Stages’ 365/12: A Year of Drawings exhibition, on view through February 24 at its Schiffman Butterfield Gallery. Gallery hours vary. This Friday, Performing Arts Center at Purchase College presents GlobalFEST, a concert featuring the innovative Latin sounds of two diverse bands. The indie-mambo band Orkesta Mendoza updates the Latin big band tradition by merging cumbia, merengue and ranchera styles with electronica, strings and western pop. 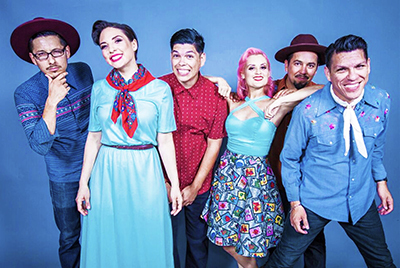 The Las Cafeteras band recreates Afro-Caribbean music with traditional instruments like the jarana (an eight-string guitar) and quijada (donkey jawbone). Begins at 8pm. 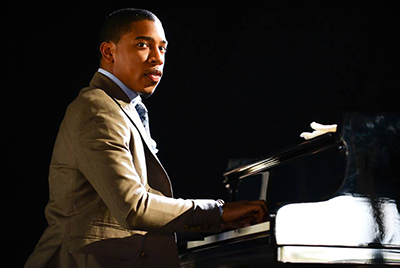 On two consecutive days, Jazz Forum Arts brings four performances by five-time Grammy Award nominee Christian Sands and band. The 27-year old pianist takes a fresh look at the entire language of jazz, from swing to Brazilian and Afro-Cuban rhythms. The trio also includes bassist Yasushi Nakamura and drummer Marcus Baylor. Concerts will begin at 7 & 9pm both nights. On Thursday, Jacob Burns Film Center launches its “REMIX: The Black Experience in Film, Media, and Art” series with a screening of For Ahkeem. 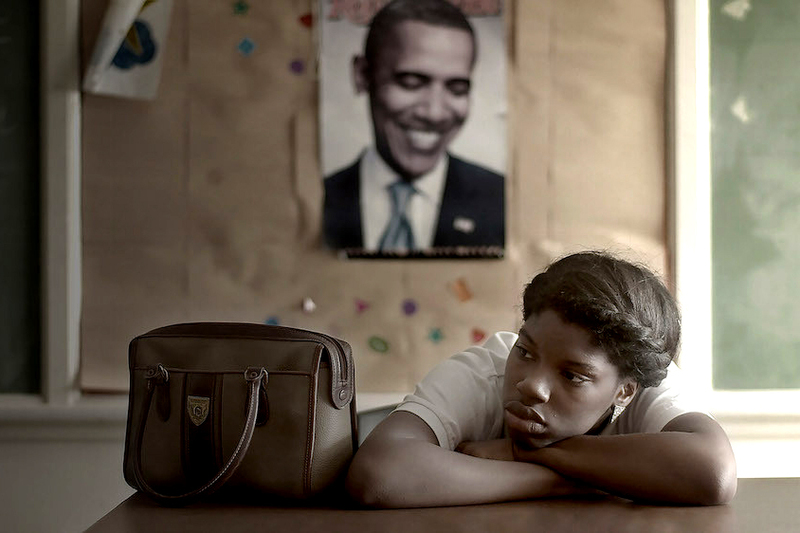 The coming-of-age documentary, set just before the police shooting of Michael Brown in Ferguson, Missouri, follows Daje, a black teenage girl who is grappling with what it means to grow up in black America. A Q&A with “For Ahkeem” filmmakers will follow the screening. Begins at 7:30pm.